The Veterans Outreach program partners with different arms of the Veterans Administration to support veterans with specific and essential items. Throughout the year, this program supports the VA Homeless Veterans Project. It provides bus passes and home supplies to both homebound veterans and women veterans. They also provide household items for apartments provided by the Homeless Vets committee. 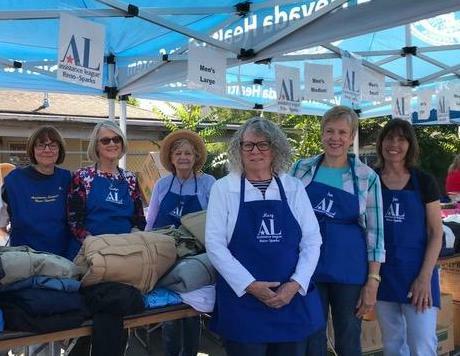 The program hosts a Veteran’s Coat Drive in support of “Stand Down for Veterans” – collaborative events, coordinated between local VA Medical Centers, other government agencies and community-based homeless service providers.